I mentioned yesterday that we’re recruiting volunteers and developing leaders for the fall promotion on August 24th. We actually did a push from the stage yesterday, but we’re looking for way more volunteers than we can get from that. I’ve been talking to my staff about how we can “saturate” the vision in as many venues as possible. Here are some of the ways we’re going to (or hoping to) get the word out among our church. Parent Communication: It’s fairly common for me to send out an email to all the parents who’s kids attend regularly. Next week I’ll be sending out an email to inform them of all the events and activities coming up this summer. In that email I’ll mention some serving opportunities they can take advantage of. Parent Meeting: So much is changing in the fall, so we’re hosting a parent meeting. Actually, we’re hosting 4 of them around two different weekends. We’ll be talking about what the ministry will look like next year. Since I’ll have so many parents face to face, I’ll share a little vision for joining a serving team. Men’s Ministry: I’m hoping to speak at a men’s breakfast or gathering over the summer. What better way for men to impact the next generation of men by leading a small group of boys? Oh yeah! Singles Ministry: Gateway has a lot of these. I’d love to infuse the CM with some younger singles, so we’ll try out this group. My team had a few other ideas as well we’re going to look at for the future. The key though is to saturate. We need as many people as possible to know what’s happening this fall with the kids. What other ways can we saturate the vision in the next few months? Any ideas? PreviousYes, I did it and I’m not going to apologize! NextAm I networked enough yet? Quit being a loner. Go meet someone! 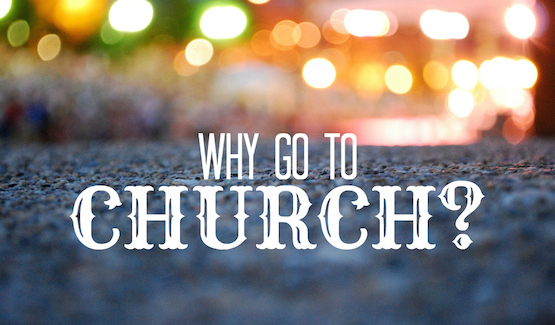 Five Reasons why you need to go to Church! I always try and invest time in the Senior Adults gathering, I can secure some camp scholarships this way. And Don’t forget the Women’s Ministry meetings… you’ll never be short of opinions if you seek them out there!